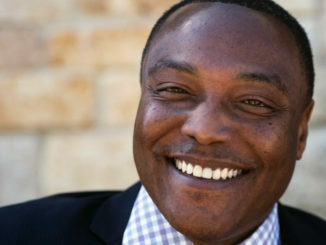 PLAINFIELD, Vt. (AP) — A one-time death row inmate now serving a life sentence for the 1981 murder of a Philadelphia police officer spoke to students graduating from a Vermont college on Sunday, encouraging them to strive to transform the world. 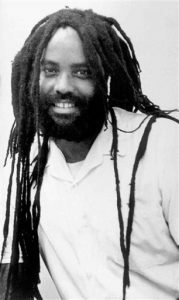 Mumia Abu-Jamal spoke by video to 20 students receiving bachelor degrees from Goddard College in Plainfield. He earned a degree from the college in 1996. “Think about the myriad of problems that beset this land and strive to make it better,” Abu-Jamal said in the video. But the decision to allow Abu-Jamal to speak angered police and corrections officials in Vermont and Pennsylvania. The Vermont Troopers Association said it showed a disregard for the victim’s family at a time when the nation is seeking solutions to gun violence. Goddard, a low-residency school where students, staff and faculty spend eight days on campus twice a year, holds 20 commencement ceremonies every year, so students in each degree program can individualize their graduations and choose their speaker. Goddard students design their own curriculums with faculty advisers and do not take tests or receive grades.